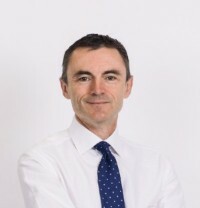 16 Jan 2018 --- Tate & Lyle PLC has announced the appointment of Nick Hampton as Chief Executive of the company with effect from April 1, 2018. Hampton is currently Chief Financial Officer and a Board member of Tate & Lyle. Hampton succeeds Javed Ahmed who, having served as Chief Executive of Tate & Lyle since October 2009, will step down from this role and retire from the company, with effect from April 1, 2018.
ear career at PepsiCo, he held a number of senior finance and operational roles. The process to appoint a new Chief Financial Officer of Tate & Lyle is underway, and a further announcement will be made in due course, according to the company.